Wow…I guess I should be careful what I ask for!!! Last weeks entries were OUTSTANDING!!! You really know how to get Sentimental!! . We really enjoyed seeing all your entries! Be sure to stop back on Tuesday and see who our random winner is and who has been chosen to be in our Top 3! The Sentimental Sundays gals are about to WOW you!!! I was so amazed at this weeks creations. OMG!!!! I am so proud of all of them!!! Oh….before we continue, I want to welcome our sweetie Erum back from a very long holiday!! LOL!!! She has been busy helping with her brothers wedding and enjoy the time with her new and extended family. So welcome back Erum, so glad to have you back. 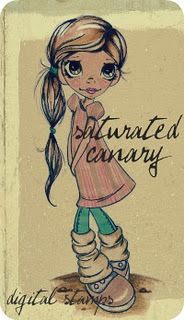 And here are the creations that the design team made using Saturated Canary images….ENJOY!!! Awesome work fellow team members. LOVE!! Love all the inspiration. You inspired me to think outside the box this week! Thanks!